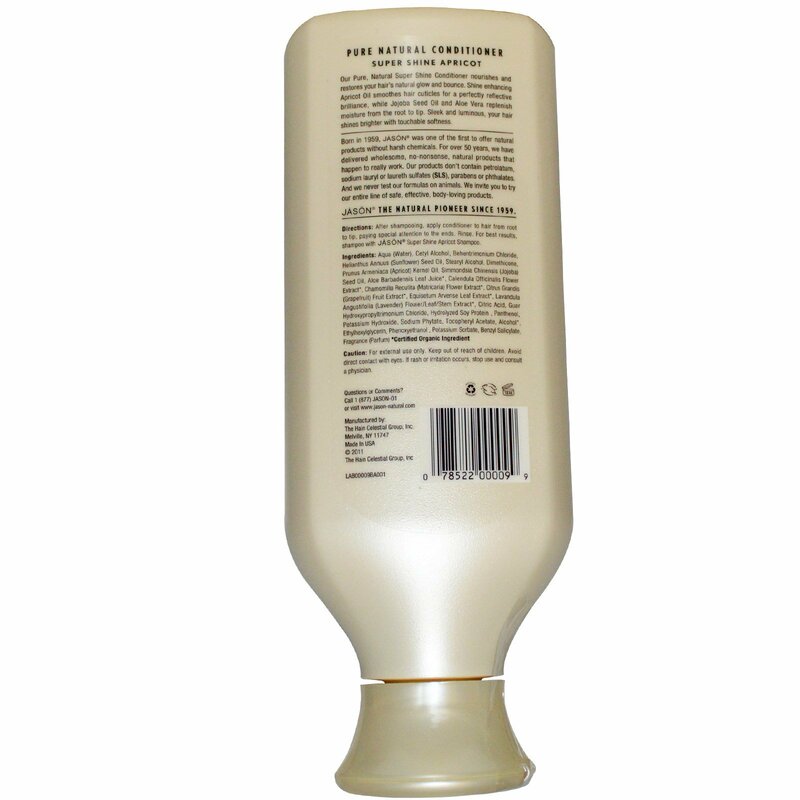 Our Pure, Natural Super Shine Conditioner nourishes and restores your hair's natural glow and bounce. Shine enhancing Apricot Oil smoothes hair cuticles for a perfectly reflective brilliance, while Jojoba Seed Oil and Aloe Vera replenish moisture from the root to tip. Sleek and luminous, your hair shines brighter with touchable softness. After shampooing, apply conditioner to hair from root to tip, paying special attention to the ends. Rinse. 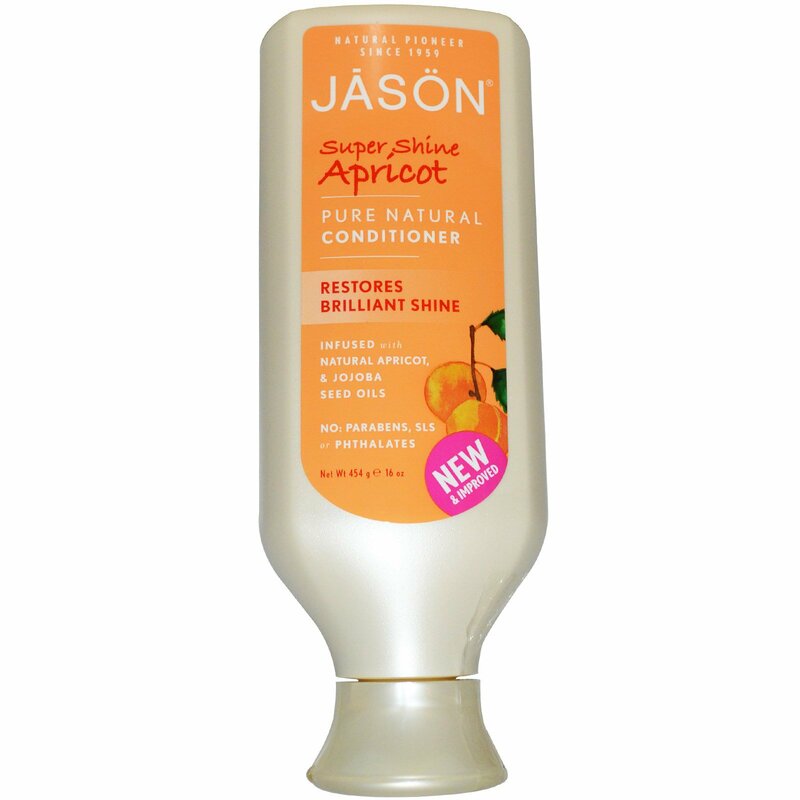 For best results, shampoo with Jason Super Shine Apricot Shampoo. Aqua (water), cetyl alcohol, behentrimonium chloride, helianthus annuus (sunflower) seed oil, stearyl alcohol, dimethicone, prunus armeniaca (apricot) kernel oil, simmondsia chinensis (jojoba) seed oil, aloe barbadensis leaf juice*, calendula officinalis flower extract*, chamomilla recutita (matricaria) flower extract*, citrus grandis (grapefruit) fruit extract*, equisetum arvense leaf extract*, lavandula angustifolia (lavender) flower/leaf/stem extract*, citric acid, guar hydroxypropyltrimonium chloride, hydrolyzed soy protein, panthenol, potassium hydroxide, sodium phytate, tocopheryl acetate, alcohol*, ethylhexylglycerin, phenoxyethanol, potassium sorbate, benzyl salicylate, fragrance (parfum).